Priced under Rs 10,000, the Samsung Galaxy Buds are decent wireless headphones that come with nice connectivity and decent audio quality. 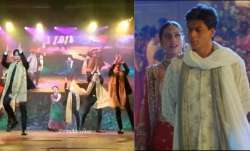 Samsung recently launched its flagship Galaxy S10 line in India. Along with the launch of smartphones, Samsung also launched its truly wireless headphones called the Galaxy Buds. Samsung had launched the Gear IconX last year in July and the Galaxy Buds are its latest addition in India. 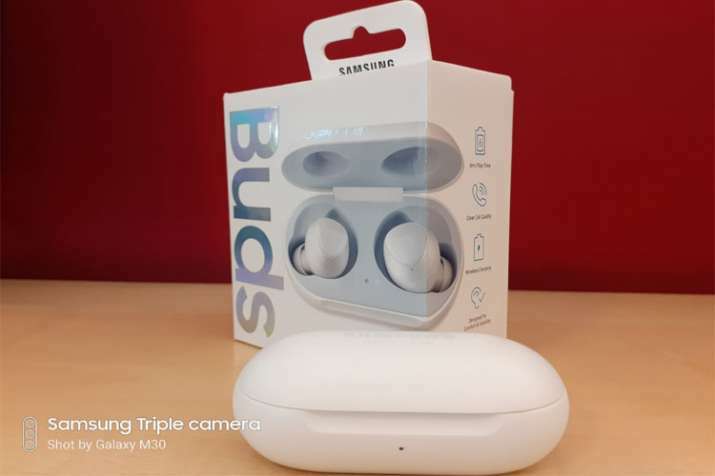 Looking at it at a glance, you simply can't keep away from gazing at the Samsung Galaxy Buds, given the hi-tech wireless feature and build quality, but minus the looks, do they really live up to the audio quality, well let's just find that out in our Samsung Galaxy Buds Review. The Samsung Galaxy Buds come inside a case that basically is a charging case for the earbuds. 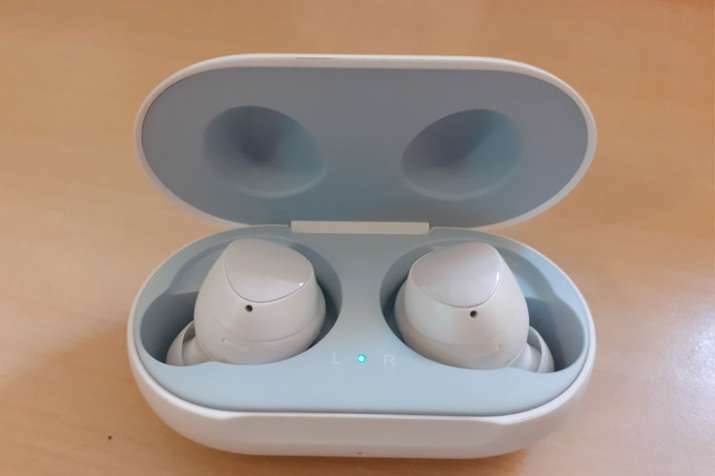 On opening the case you find the earbuds placed inside firmly, thanks to the firm magnetic pull that ensure proper placement of the earbuds. The earbuds are light in weight and easy to wear. They have a plastic feel to it, but certainly, comes with good built quality. The soft silicone ear tips sit perfectly inside the ear and don't cause any discomfort or pain for long use. The earbuds come with both winged and non-wingtips for preferences. The buds are IPX2 rated, which means its good to go in case you plan on running or hitting the gym. The earbuds get a touchpad on the outer cover that lets users perform certain actions, just by a simple tap. 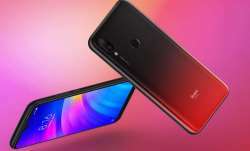 By tapping it once, users can pause and play the audio track, whereas double tap simply moves to the next track (one can also answer or end calls doing the same). Tapping three times will take you to the previous track. Users can also touch and hold to activate Google Assistant, Bixby and Siri. One can also assign the "touch and hold" function on both earbuds to voice command, lower volume or quick ambient sound. 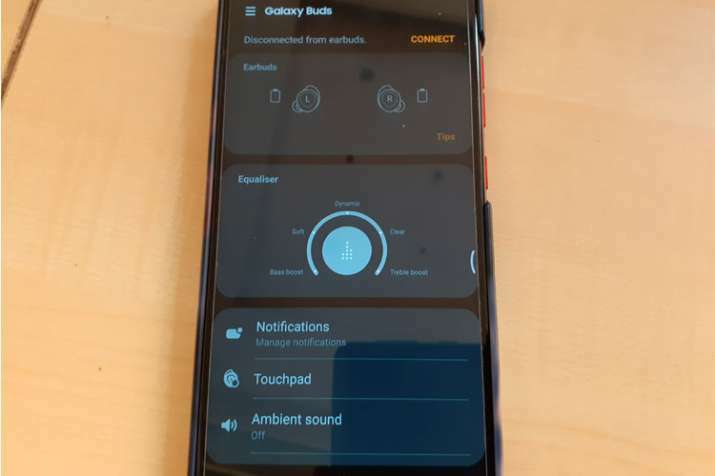 The wearables app for the Samsung Galaxy Buds offers an equalizer that comprises of bass boost, soft, dynamic, clear, or treble boost for personal preference and also gets a "find my earbuds" feature, in case you happen to lose one. The charging case of the Galaxy Buds gets a Type-C port placed at the back to charge using the cable. The case also features a tiny LED light on the front as well as on the inside. Apart from that one can also charge the case wirelessly using a Samsung charging pad or a Qi-based wireless charger. Talking of audio performance, the Samsung Galaxy Buds are tuned by AKG and sound really good, with clear and clean sound output. The app comes with the sound equaliser, wherein users can choose between five modes of Treble boost, clear, Dynamic, soft and Bass Boost. The earbuds deliver balanced sound signature but slightly lack in bass, despite switching to Bass Boost. For connectivity, the Galaxy Buds get Bluetooth 5.0 that offers strong connectivity with decent range. The Buds can be charged inside the case, as it lets you charge the earbuds fully up to three times. The case comes with 252mAh capacity, while the earbuds house a 58mAh battery. Priced at under Rs 10,000, the Galaxy Buds sure does standout, given its usability and features. 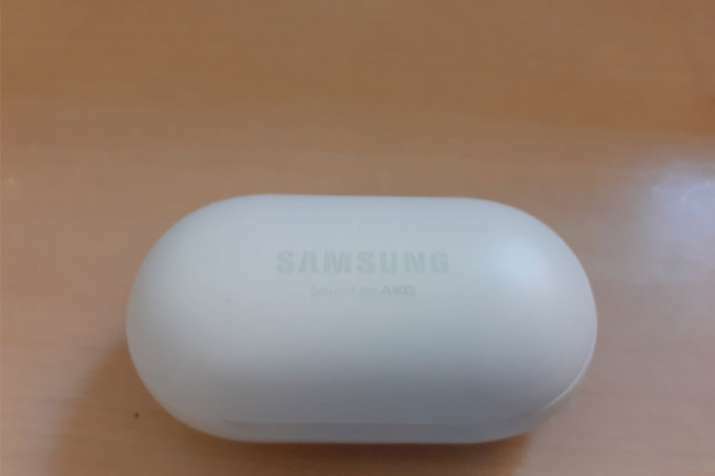 Not only do the Galaxy Buds compliment the Samsung Galaxy S10 line, but it also works seamlessly well with other smartphones. With great design and usability prospects, the Galaxy Buds are serious competition to the AirPods. 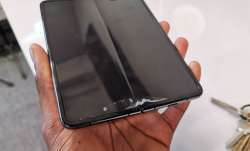 With clean sound and optimum audio output, the only thing I could wish for is a little more bass, which I hope Samsung could deliver, probably with a software update. All in all, the Samsung Galaxy Buds are simply decent and a great pair of wireless earbuds.